T Mobile International (Deutsche Telekom): Chief Brand Officer - Brand development, global roll out and integration, Advertising and sponsorships of the Group in Germany and Internationally in a phase of strong international expansion. Universal Studios Channels France President and founder very successfully created the first Channel of the Group « 13 ème Rue ». untill the VU merger . Canal+ Group (VU TV) SVP Marketing and Revenue Synergies with a mission to restructure all platforms and Channels of the Canal + and Universal Groups. Canal+ France COO (Dir Antenne) of flagship Channel with a mission to restructure. Benetton Group: VP International Advertising based in Treviso. Creating in house Agency and affiliates internationally, managing the UCB controversial campaigns by O. Toscani in 50 countries. Launch of Colors magazine and other innovative projects. MTV Europe: international sales Manager based in London and then as Business development Manager Southern Europe incl. co-founding MTV Italy . Bates/Saatchi: European Account Executive at Paris based BSB Europe on the European Mars Accounts. Launch of M&M’s and Mars Ice cream bars. 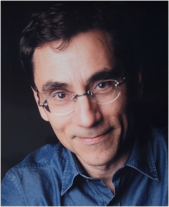 Pascal is fluent in 5 languages, has a Doctoral degree in audio-visual research from the Sorbonne, an MA in Broadcast and film management from the University of Iowa, and Advanced Executive Education in change Management in Technology industries at Harvard and Stanford Universities. He also delivers executive training in various aspects of media , innovative marketing and Brand Content in various countries. Pascal has a passion for experimental art and communications innovation.